Another cache adding to the growing village sign series. Ousden is a small village in west Suffolk between Bury St Edmunds and Newmarket with a population of approximately 266 people. 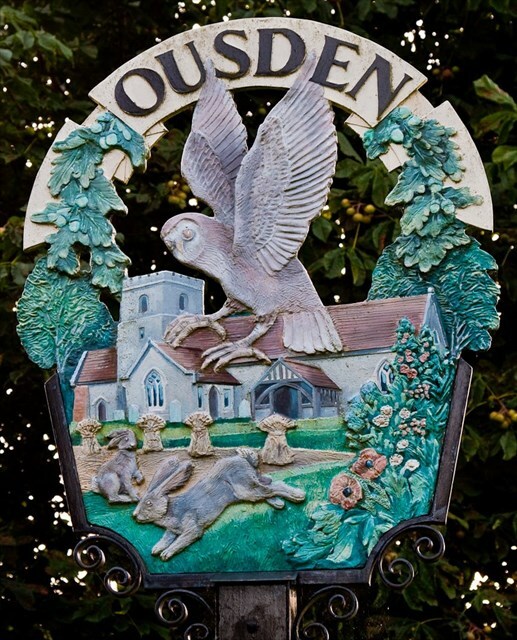 Ousden is on top of a hill, surrounded by beautiful rolling countryside with a large choice of walks. The village church is called St Peter's Church. There is also a small chapel called St Barnabas.